We provide 24/7 workshop support for our clients and have crushing and screening equipment hire services available to avoid them experiencing production downtime onsite when their machinery needs emergency repairs or maintenance. At Crushing Service Solutions, our primary focus when first establishing the business in 2010 was to target maintenance and equipment rentals, as the mobile crushing industry lacked a specialised service provider. Since then, we have grown and broadened our scope to incorporate engineering, fabrication, and labour and equipment hire solutions to service the mining, civil construction, and quarrying sectors. Our workshops are fully equipped to deliver a complete range of mechanical services, with no job too big or too small. We also offer other specialised services ranging from crushing and screening mobile equipment rebuilds and repairs, to fabrication and engineering. 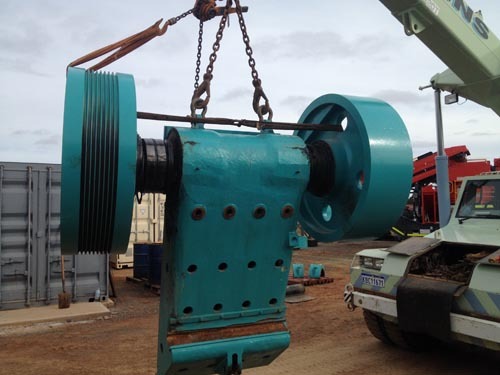 Our diesel mechanics have extensive experience with maintenance and repairs of mobile crushing and screening equipment including jaw crushers, cone crushers, screens, stackers, and material handlers, as well as all types of quarrying and mining heavy machinery. We can also arrange for regular servicing of your mobile crushing and screening equipment and heavy equipment, to ensure it performs efficiently throughout its life cycle.